Out with bogus terms like “waterproof” and “sunblock,” and in with honest SPF numbers and broad-spectrum coverage. 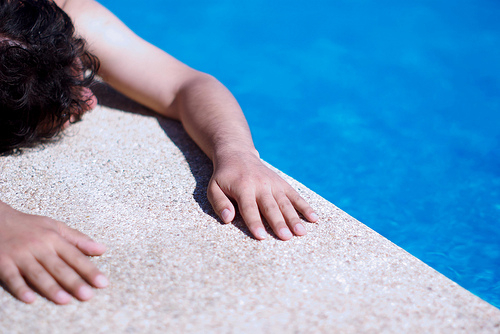 The Food and Drug Administration has issued new sunscreen regulations that will forever change the way we perceive sun protection, and most importantly, the way manufacturers market these essential summertime lotions, sprays and creams. The most shocking revelation amongst the new-guideline buzz is that we’ve been duped for years with a shady (pun intended) numeric SPF system. It would seem that SPF 30 sunscreen is twice as effective as SPF 15; in reality, SPF 15 blocks 93 percent of UVB (shortwave) rays, while SPF 30 blocks just 4 percent more. On top of that, current SPF numbers don’t even indicate UVA (longwave) protection. UVA rays are another form of ultraviolet radiation that contribute to aging and skin cancer. The new system, which sunscreen makers must adopt by December, 2012, does away with all SPF numbers over 50, since there’s little difference in protection. This means we’ll be seing a lot of “50+” on the drugstore shelves. Products that block both UVA and UVB rays will be labeled “broad spectrum;” Sunscreens without this label will have a warning that they don’t protect against cancer or skin damage, only sunburn. This doesn’t mean you should toss your old bottle just yet; the issues are with marketing, not ingredients. Some companies are already touting their sunscreen as “broad spectrum,” so read the label. According to the Skin Cancer Foundation, you can also tell if your brand blocks UVA rays by checking the ingredients list for zinc oxide, titanium dioxide, stabilized avobenzone, oxybenzone or ecamsule ( or Mexoryl). Even with regulation, the FDA warns that sunscreen can’t provide complete protection from solar rays. To save your youthful glow (and possibly your life), don’t bask in the sun between 10am and 2pm, cover up with clothing when you can and reapply your sunscreen every two hours, or more if you get wet.